← JBoss AS 7.1.1 “Brontes” não termina de subir nunca? 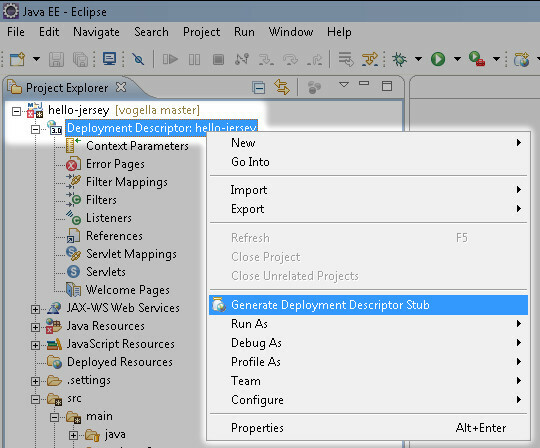 Posted on 3 de Maio de 2017, in Eclipse, IDE, Java, Maven and tagged and, Deployment, Deployment Descriptor, Descriptor, Eclipse, error, Explorer, failOnMissingWebXml, Generate, Generate Deployment Descriptor Stub, gustavo amaro, is, is missing, java, maven, maven project, missing, project, Project Explorer, set, stub, to, true, web, WEB-INF, WEB.xml, webapp, xml. Bookmark the permalink. Deixe um comentário.